If anyone wants to join me, either virtually or in-person, I’ll be in the Magic Kingdom again this coming Friday, May 8th, doing live tweets and Facebook updates as I play another round of RideMax Roulette. For those not familiar, RideMax Roulette is a game using the RideMax planning tool, where I select a list of attractions at random and plug them into RideMax. RideMax then creates an optimized game plan using those attractions designed to minimize my waiting and walking. I then take the plan to the park to see how it works out. (Just FYI, because I’m biased, I call this a “RideMax plan,” but I know that some would call this a “touring plan” instead, lol). 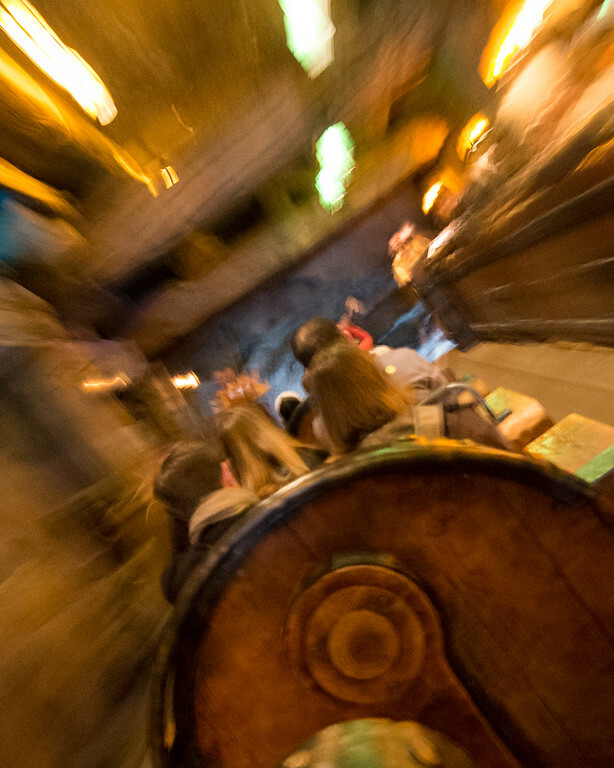 For this week’s test, my only requirement going into the process was that I wanted to at least hit the new Seven Dwarfs Mine Train ride. So I made sure I included that attraction, then added attractions to the list using my handy-dandy random number generator, until I had enough attractions to fill a half-day at the park. 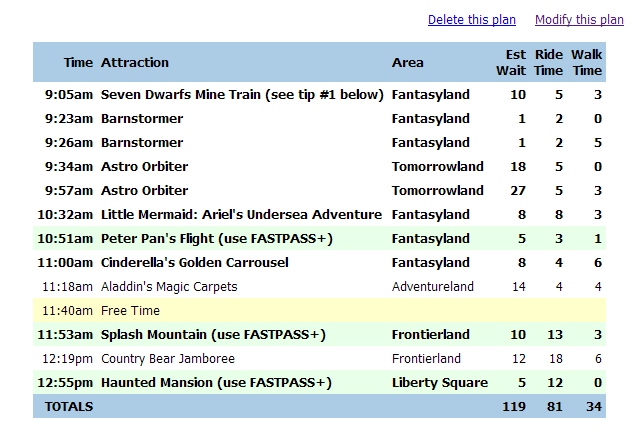 Well, as luck would have it, there was still a FP+ slot available for 7DMT in Disney’s reservation system, so I went with it. 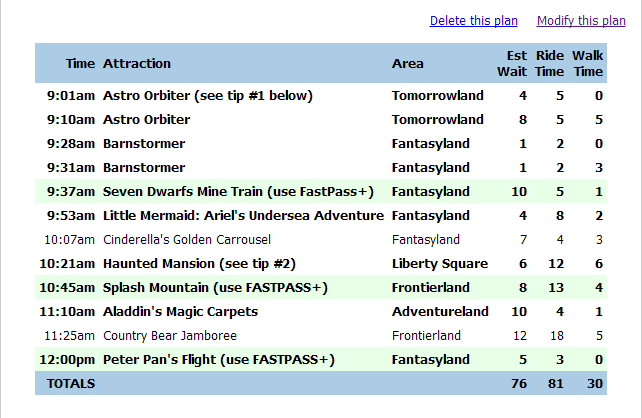 As you can see, this plan estimates we’d wait 43 minutes longer overall using FP+ for Haunted Mansion and visiting 7DMT using the standby line right at opening time. As I look at this second scenario, the estimates for Astro Orbiter look a bit high to me, but even if the actual combined wait for Astro Orbiter ends up being 15 minutes less than shown on the plan, this second scenario would still involve an extra 30 minutes or so of waiting over the first plan. hi — is fastpass+ different from fastpass? 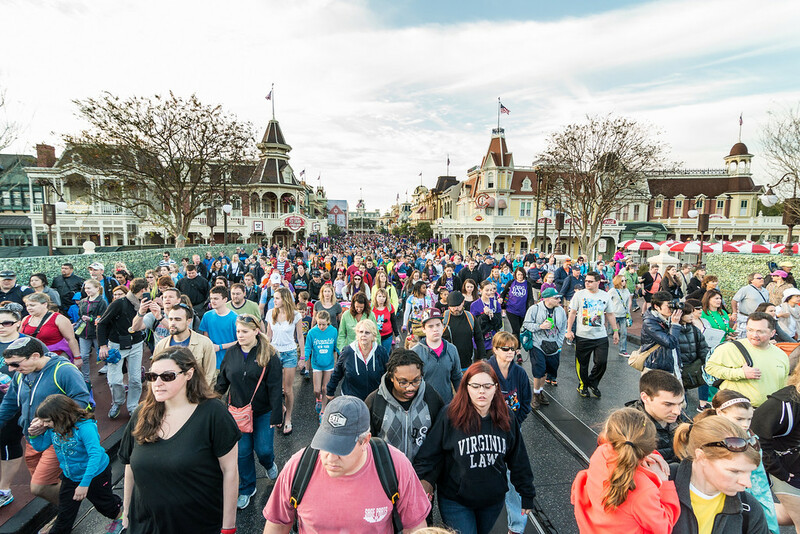 Yes, Mardi, FP+ is an advance reservation system in use at Walt Disney World, where you make your reservations online in advance of visiting the park. The FastPass (no “plus”) system in use at Disneyland uses the paper-based tickets.